The thesis defense (course 2012) for postgraduates on Architecture, Regional & Urban planning, Urban center & Works management took place at HCMUARC on March 27th 2015. The master class No. 19 began since December 2012. Before this session, the thesis defense for postgraduates on Architecture, Regional & Urban planning, Urban center & Works management (phase 1) took place in October 2014. In this session, 20 postgraduates participated in their thesis defense at 3 respective Boards. Board 1 included: Associate Prof. Le Thanh Son-Chairman; Dr. Truong Thanh Hai-Secretary and other members: Dr. Nguyen Thi Hanh Nguyen; Associate Prof, PhD. Nguyen Khoi; Dr. Cao Anh Tuan. Board 2 included: Associate Prof. Trinh Duy Anh-Chairman with other members: Dr. Phan Huu Toan; Associate Prof, PhD. Pham Anh Dung; Dr. Le Van Thuong; Dr. Le Quang Ninh. Board 3 included: Dr. Nguyen Thiem; Associate Prof, PhD. Le Anh Duc; Dr. 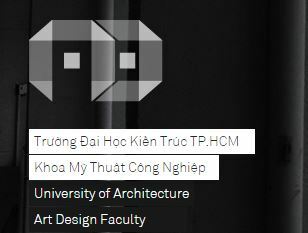 Vu Thi Hong Hanh, Dr. Trương Trung Kiên. Board 3 undertook the assessment of postgraduates on Architecture, Regional & Urban planning, Urban center & works management. Board 1 & 2 undertook to mark graduate thesis for Architecture postgraduates. The Boards of Jury highly regarded the specialized knowledge as well as the thorough research of postgraduates. All postgraduates received many questions and comments from assessors.